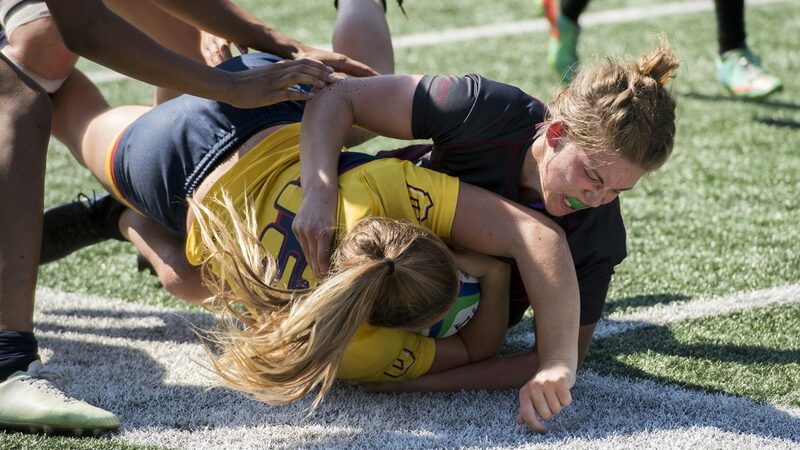 Entering her fourth year with the McMaster women’s rugby team, centre Britni French led a promising squad who looked to conquer Ontario University Athletics. Following a 2017 bronze medal, the hopes were high to surpass that in 2018. Part of a crop of solid senior players who have been a fixture of Marauders’ rugby for the past few seasons, the veteran centre was chosen to captain the team throughout 2018. The Marauders would go on to finish the season 2-2, including a dominant 71-10 win over Western University, and were ready to make a convincing run at the gold medal. 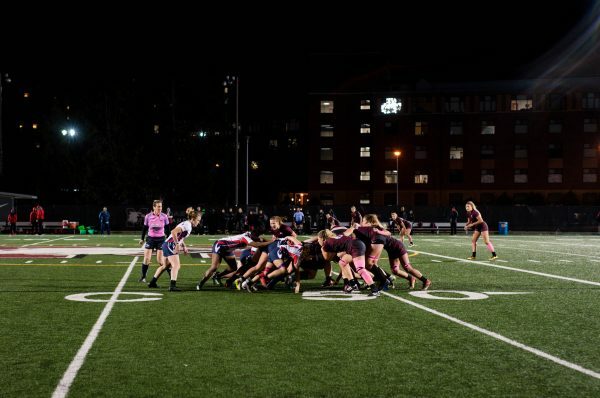 They opened their playoff run with a mind-boggling 109-0 thrashing of the Wilfred Laurier University Golden Hawks, with 11 players getting their name added onto the score sheet, including three tries from French herself. Coming off such a dominant win, the Marauders were flying high heading into a rematch with the Queen’s University Gaels, a team they lost to in the second game of the season. Unfortunately, the Marauders ultimately ran out of time as their comeback try fell just short, losing 29-24 in a hard-fought game. The team did manage to bring home some hardware, repeating as OUA bronze medal winners following a 59-5 beatdown of the Brock University Badgers. The season would turn out to be a personal success for French, being named to the U Sports All-Canadian Second Team for the second year in a row. French was a force on both the offence and defence, scoring five tries throughout the regular season, leading the balanced Mac team. Although the team did not get the result they had hoped for heading into the season, French highlighted that tight OUA semifinal loss to the Gaels as a key moment in their season, as they rallied against a team that had beaten them soundly just a month before. Hoping to return for her final year of eligibility in 2019, French noted that there will be a noticeably different roster next season. However, that will not hurt their chances of bringing home a medal once again. With an offseason of recruiting, planning and adjusting ahead, the Mac women will have time to assess their 2018 campaign and prepare for the next season. With a dynamic player and strong consistent leader like French dominating the centre of the field, the sky is the limit.